Intelligence For Your Life - Stop Drinking Diet Soda! Do you drink diet soda? You’re going to want to hear this: People who drink diet sodas every day are 3 times more likely to have a stroke or develop dementia, compared to people who never drink them. That’s according to a study of more than 4,000 people conducted by the Boston University School of Medicine. The researchers say, at this stage, they can’t say that the artificial sweeteners in the drinks, like saccharin, aspartame and sucralose, CAUSE stroke and dementia… but there is a strong association. And previous research has shown a link between artificial sweeteners and poor circulation, which is also a factor in stroke and dementia. But beverages sweetened with sugar weren’t much better. 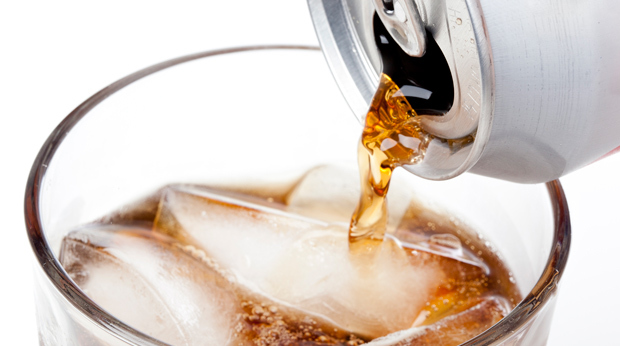 Researchers also found that the more often people drank sugary sodas, the faster their brains aged. And the smaller their hippocampus was. That’s the area of the brain crucial for memory storage. So what should we be drinking? The researchers recommend we stick with water, and coffee. Studies show that people who regularly drink moderate amounts of coffee, for example, are less likely to die from several kinds of diseases, including diabetes and heart disease.